07/17/18 By Gary M. Baranec The Curve's Christian Kelley collects some high fives from his teammates in the dugout after belting a home run in the fourth inning Tuesday against the Bowie Baysox at PNG Field. Curve manager Michael Ryan challenged his bullpen Monday night, after yet another blown lead, for someone to step up. To say that the bullpen has had a nightmare season would be an understatement. Things might have hit a new bottom Tuesday night as Matt Eckelman blew his first save since coming up to Double-A in Altoona’s 7-5 loss to Bowie before of 5,811 fans at Peoples Natural Gas Field. It was the second straight loss in a game the Curve led in the ninth inning. The blown save — the Curve’s 15th of the season — spoiled what appeared to be just the solution to Altoona’s bullpen problem: an effective enough start from righty Eduardo Vera that would not give the bullpen enough time to spoil the night. But even seven strong innings from Vera could not prevent the game from ending badly. Vera tossed seven innings of three-hit ball and allowed two runs. But enter the bullpen, and exit any plans of success the manager may have drawn up. Geoff Hartlieb allowed a run in the eighth inning as Bowie closed within 4-3. Hartlieb escaped the inning with the lead, though, stranding runners at second and third with strikeout. Ryan turned over the ninth to Eckelman, who had been a perfect 3-for-3 in save opportunities since his promotion from high-A Bradenton, where he also had six saves. The third-year pro out of St. Louis University was poised to potentially emerge as the team’s go-to guy in late-game situations, but he couldn’t silence the Baysox. Bowie grabbed a 5-4 lead with two runs in the ninth off Eckelman. But the Curve regrouped in the bottom of the ninth, tying it up on an RBI groundout by Will Craig. The Baysox then scored two runs in the 10th inning off Bret Helton (4-5), and Altoona couldn’t score in its half. Altoona’s bullpen has been busy since the All-Star break, as Vera’s strong start was somewhat of an anomaly for Curve starting pitchers since the layoff. Before Taylor Hearn tossed six innings in his start on Monday, the Curve went four consecutive games without getting more than four innings from one of their starters. The Curve scored four of their five runs off of Bowie starter Brian Gonzalez in the opening 3 1/3 innings. But it was the Baysox’s lockdown bullpen that silenced Curve bats, allowing for Branden Kline (4-2) to record the win in relief. While frustration continues to mount with playoff aspirations still well within reach, Curve players try not to let the continued bullpen letdown be a contagious attitude in the locker room. Key player: Curve C Christian Kelley was 2-for-5 with a home run and three RBIs. Key play: C Martin Cervenka’s two-run double gave Bowie the lead in the ninth, and the Baysox won it with two runs in the 10th. Key stat: The Curve bullpen has blown 15 saves, tied for most in the Eastern League, and lost a ninth-inning lead for the second straight game. Top 3rd: Brugman solo-homer (0-1). Bottom 4th: George singled, Hill singled, both scored on Kelley three-run homer (3-1); Hayes singled, scored on Alemais single (4-1). Top 7th: Mountcastle solo-homer (4-2). Top 8th: Cervenka walked, scored on Joseph single (4-3). Top 9th: Feliz reached, Rifaela singled, both scored on Cervenka double (4-5). Bottom 9th: Alemais walked, scored on Craig groundout (5-5). Top 10th: Brugman started at 2nd, scored on Joseph single (5-6); Joseph scored on Santander double (5-7). 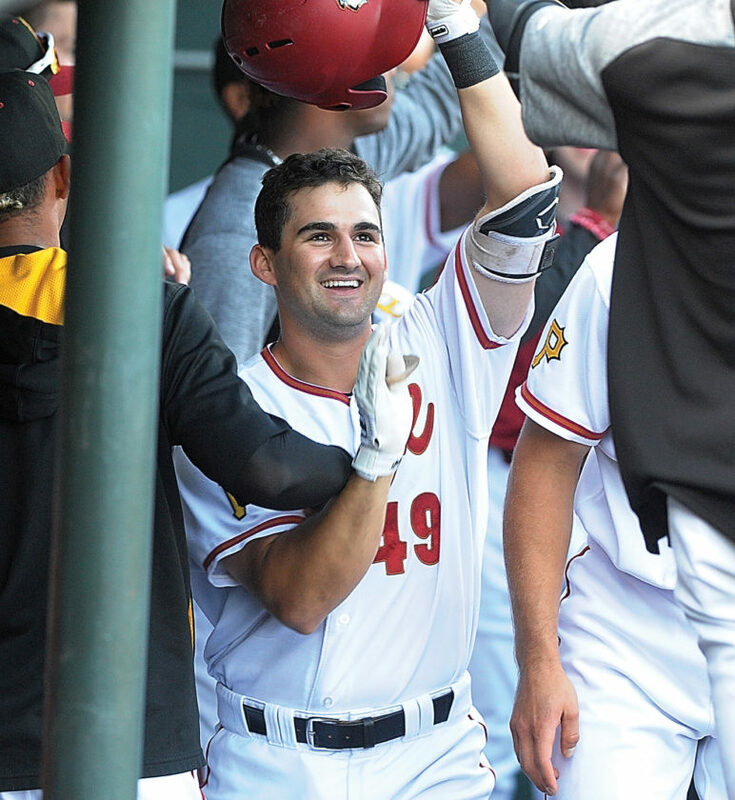 LEADING OFF: The Curve dropped to 1-7 against Bowie, which is a big surprise considering the Baysox have the second-worst record (42-52) in the Eastern League. All those losses very well could come back to haunt Altoona at the end of the season if it doesn’t make the playoffs. SAFE AT FIRST: The Curve also struggled mightily against Bowie last year, going just 5-14 in the regular season. The postseason was a different story, though, as Altoona swept a three-game series in the first round. STEALING SECOND: The Curve and Baysox will play a noon game today to wrap up the series, then Altoona heads out of town for a seven-game road trip. ROUNDING THIRD: The Curve will return home July 26 for a four-game series against Binghamton, and most likely Tim Tebow. He’s batting .272 with six homers, 36 RBIs and a .730 OPS in 82 games for the Rumble Ponies. HEADING HOME: Tickets are still available for the Binghamton series, but the expectation is Tebow’s presence could provide a big boost in attendance each day.